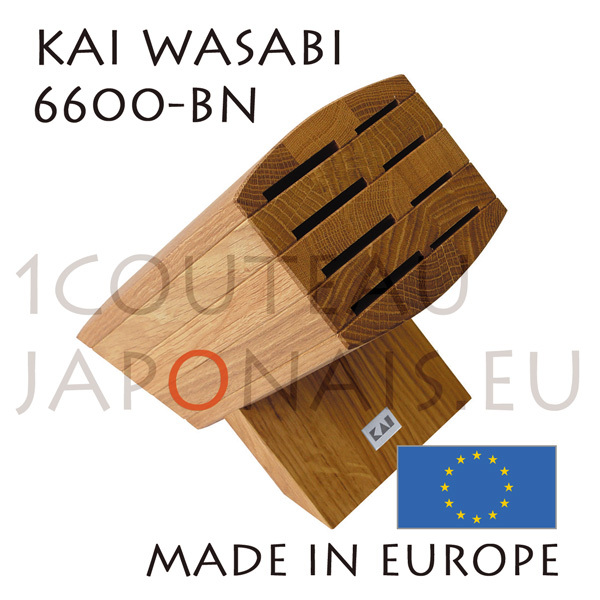 This japanese knives block is made from solid oak wood an can be dismounted for a perfect hygiene. 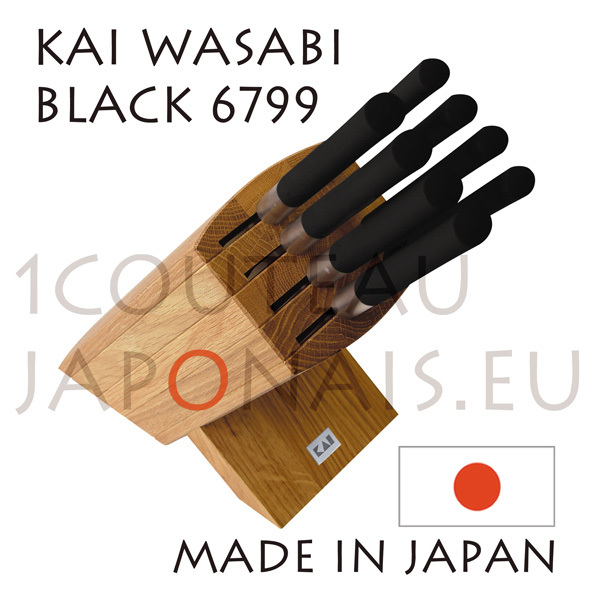 The Wasabi range has been equipped with a handle whose special combination of powdered bamboo and polypropylene offers the highest possible hygienic properties – not least because of the bamboo’s anti-bacterial effect. 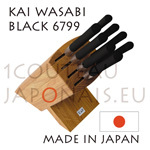 These knives are therefore well suited for professional use. NEVER use a Santoku knife for chopping bones and fish bones ! 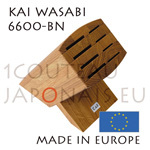 Only the DEBA knife is suitable for this work. NEVER use a Nakiri knife for chopping bones and fish bones !